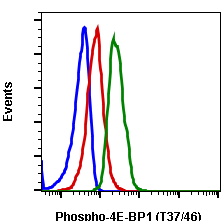 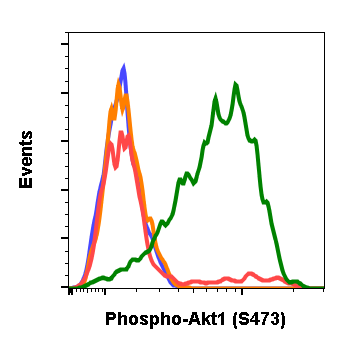 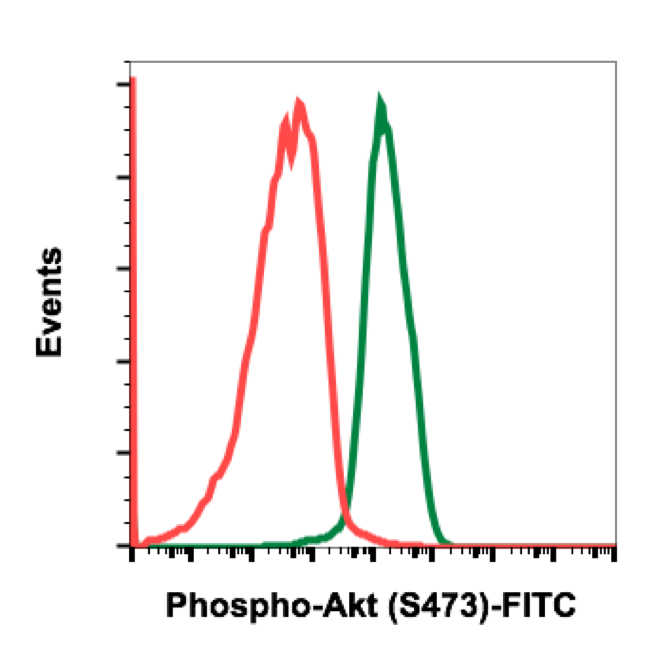 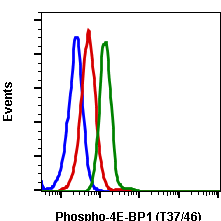 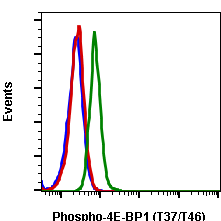 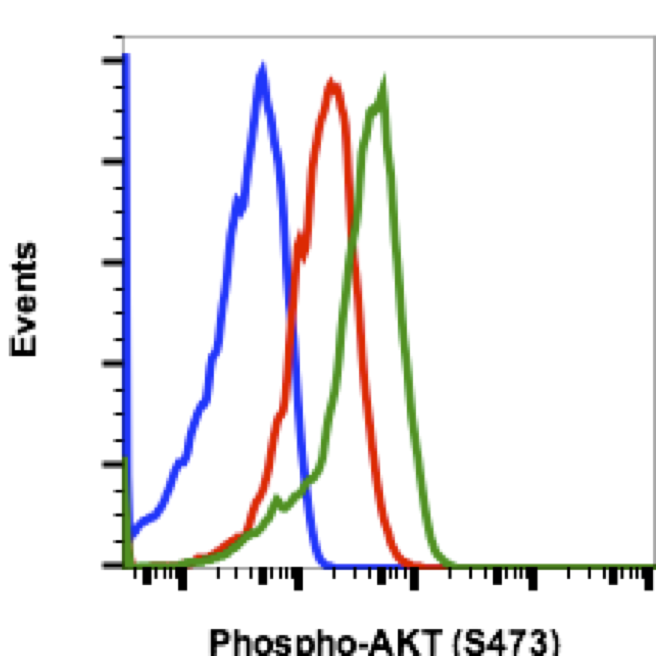 Flow cytometric analysis of Jurkat cells treated with LY294002 (red) or with 20% FBS (green) using Phospho-Akt (Ser473) PE conjugated antibody AKTS473-B9. Cat. 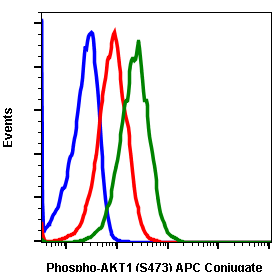 #2257.